Tastings, Flights, Cocktails, & Bottles are available for purchase in the tasting room. *Wednesday tours are booked in advance only, minimum of 4 people. If 4 people is not fulfilled, refund will be applied. Must verify place of employment or industry-related affiliation to join our tour. 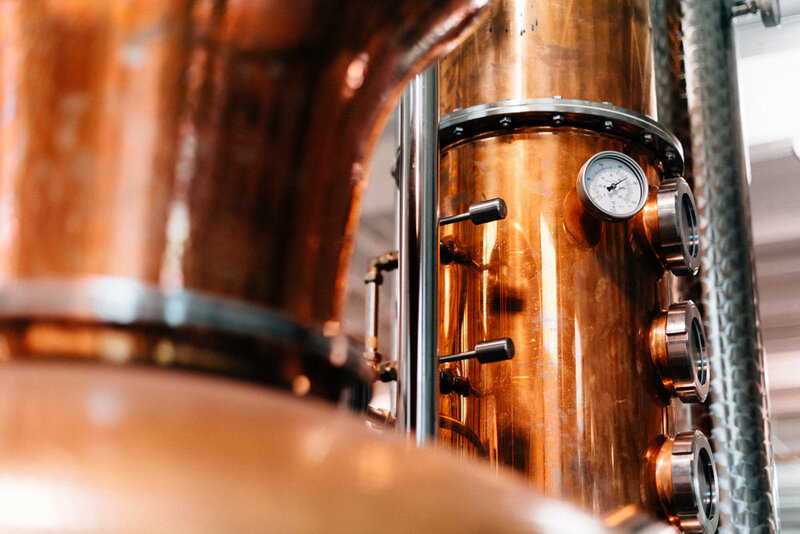 Get an exclusive and intimate look at Rhine Hall, our history, process and products while sipping on a flight of 6 of our spirits with one of our owners. Hear & see (never seen before equipment) first hand how it all began. Jenny or Charlie will walk you through the space then sit down and sample our products with you over a complimentary cheese board. There will be access to some exclusive releases no longer available! Rhine Hall is also available for private tours, events and event space rental, fill out the form here to get started! Our address is listed as 2010 W. Fulton Street, however our street entrance is located just 50 yards West of the 2010 door.